The popular US online retailer Amazon has released a refresh of its Fire TV media player, which was initially released back in year 2014. The new device carries the same name but comes with various improvements when it comes to the hardware inside and the implemented connectivity options. Perhaps the most important change in the new Fire TV 2015 (we’ll call it like this) is that it comes with an improved internal processor. Previously the Fire TV 2014 came with a Qualcomm Snapdragon 600 processor but the new version of the device sports MediaTek’s MT8173 SoC. This makes the Fire TV 2015 the first device to ship with the new MediaTek SoC, which comes with ARM Cortex-A72 cores inside. The chip carries two Cortex-A72 cores at 1989 MHz and two Cortex-A53 cores at 1573 MHz as well as PowerVR GX6250 graphics. As a comparison the year 2014 version of the Fire TV had four Krait 300 cores at 1.7 GHz in the Snapdragon 600 chip. The new chip also supports hardware HEVC decoding, which allows halving of the required memory bandwidth to stream 1080p content or allows for 4Kp30 content playback. The new Fire TV 2015 also comes with a new HDMI 2.0 port with support for HDCP 2.2 compatibility and allows users to connect a TV or monitor at up to 2160p resolution at 24/25/30/50/60 Hz. There’s also a microSD card slot that replaces the previously featured TOSLINK optical audio out connector and 802.11ac Wi-Fi with a 2×2 MIMO antenna configuration. 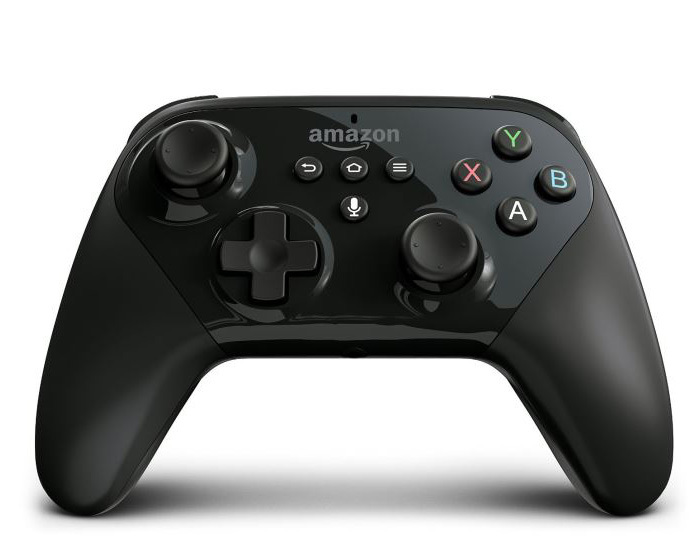 The new Fire TV 2015 is accompanied by a new gaming controller that is called Amazon Fire Game Controller. This device is equipped with the same voice-control functionality that the Fire Voice Remote comes with. The new Amazon Fire TV will be on the market on October 5 for USD 99.99 without the controller and for USD 139.99 with the controller. Amazon also now releases the original Fire TV Stick with the Voice Remote for USD 59.99.